Sometimes the floor is the only option. Middle school has hit us by storm. Homework is now part of the fabric of our lives. To help the kid get a grip on these new expectations, the team has pitched in to give her our support. There are many obstacles to doing the homework; one of the most significant ones is deciding where to unpack the books. 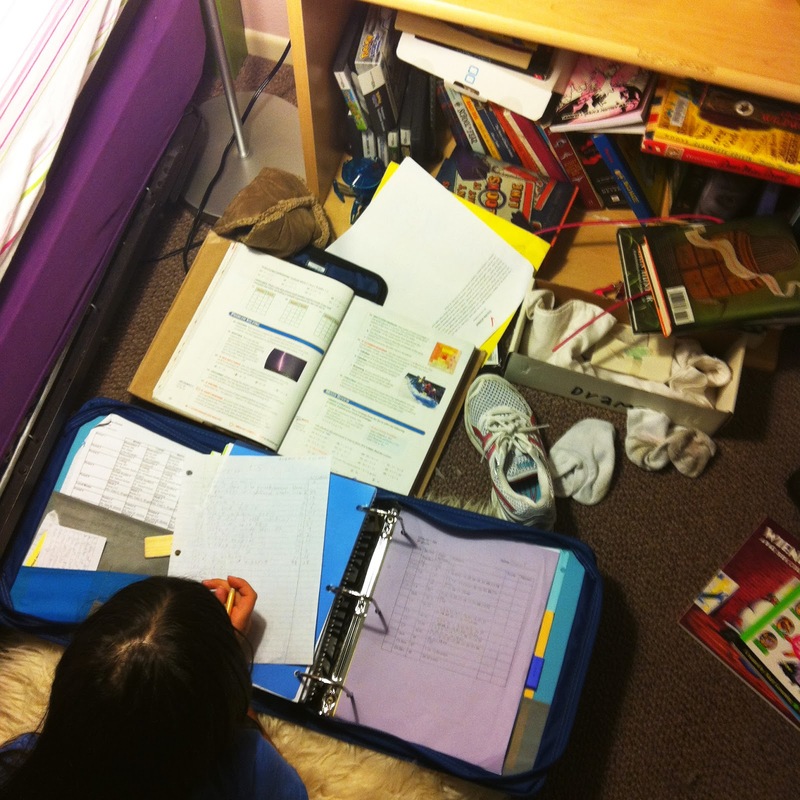 The desk is too cluttered, the bed too inviting for sleep. So our intrepid middleschooler must set out on a journey of discovery. Last night the dining room table was a fine alternative, tonight who knows. So far only the bathroom and our bed are off limits. We will keep everyone posted as this story develops.